Welcome to the Rules page of the Ceredigion Snooker League. The rules below were formally agreed and introduced at the Annual General Meeting on 8’th September 2011 . 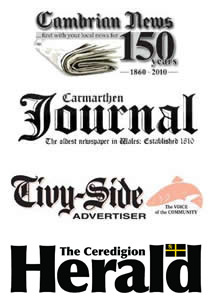 The league shall be called ‘The Ceredigion Snooker League’ and shall be affiliated to any organisation the Annual General Meeting of the league may decide. All matches must be governed by the current rules of snooker (with the exception of the miss rule). All clubs should have an up to date copy of the snooker rules displayed or available upon request for future reference. A copy of the rules is available on this website. Each team to consist of a minimum of 3 players. All players must be paid up members of each club. Players may only play for one team per season. All players must be registered to play in the league by the start of the league season. Only in exceptional circumstances will players be allowed to sign up after the season has started. This decision will be made by the league secretary. Teams playing an unregistered player will forfeit all points attained during that match. Entry fees per team per league season will be decided at the Annual General Meeting. Every league match will consist of 9 frames. Each player has to play 3 frames, one against each player from the opposing team. Matches to commence no later than 7:30 pm. One point is awarded for each frame won. i.e 9 points in total per match. Home teams to ‘Break-Off’ and provide match officials and markers. If a full team is not present at 7:30, then either team can insist that the match starts with those present. In all league or cup matches where a date is not scheduled, or where either team is unable to play on the given date, the captain of the team that did not cancel the match must offer the opposing team captain 3 suitable dates. One of these dates MUST be taken. This match MUST be played within 2 weeks. If a match is abandoned because of faulty lights the match will have to be replayed in full. If a change in the team is necessary this will be accepted. Where any member of a team is prevented from entering any club from which they are barred, the team / club playing such a member must send a reserve player to take his place on such occasions. Where a new player will need to be signed up then the league secretary has to be informed prior to the commencement of the match. A team is expected to play a substitute when available if a regular team player is unavailable to play. All matches in dispute to be notified to the secretary immediately. The score card should be left unsigned and the matter discussed at the next available executive meeting. Once signed by both captains the result cannot be disputed, unless it is stated on the card ‘Signed Under Protest’. Results of all matches to be sent to the league secretary by the Saturday of the same week by the home team captain on the night. Failure to send through the league result on time may be referred to the Executive Committee for appropriate action to be taken. Both captains on the night to sign the match card. Where the match is played later than the designated date, then the result must also be phoned through immediately to the league secretary. Order of play is decided by a draw of names before play commences. Knock out Cup (Singles and Doubles) comprise of three singles, three doubles and one three hander match. The three hander game must be the final game played. Teams with the highest aggregate score after the completion of all the frames are deemed the winners. It is the responsibility of the home team captain to give the away team captain 3 suitable dates within 14 days of the commencement of the round of the competition (where a date has not been allocated by the league). Suitable dates should include a variety of different days. If this is not given, then the away team can make a claim to the game through the league secretary. The executive committee with a quorum of at least 3 neutral clubs will deal with the matter whose decision will be final. In the event of a match being unfinished on account of time, the undecided game(s) shall be played within 7 days, arranged through the captains, with the secretary informed of all arrangements. The League secretary MUST be informed of any postponed matches. Any postponements must have the permission of the league secretary and both team captains. Any league match postponed for any reason must be played within 14 days of the original date. It is the responsibility of the home team captain to give the away team captain 3 suitable dates within 14 days of the original date. Suitable dates should include a variety of different days. All rearranged league matches must be played before the last league match date of the first half or second half of the season. Any club withdrawing from the league during the season must fulfil all financial obligations to the league, and return any league trophies in their possession. All points scored against any team that withdraws from the league ON or BEFORE the half way point of the season shall lose all points won from those games. All points scored against any team AFTER the half way point shall lose all points won from the half way point of the season. Any registered team or player whose behaviour is prejudicial to the interest of the Ceredigion Snooker League shall under the discretion of the committee be suspended from all matches for the rest of the current season, and their acceptance to the league in following seasons may be refused. Where a team is expelled from the league, all fixtures completed at that point will be classed as null and void. All league points will be deducted and the team will serve a minimum 12 month ban, after which time the team may reapply for membership to the league. Individuals may appeal against expulsion in writing to the secretary. All new teams joining the league should start in the lowest division. In exceptional circumstances teams can be slotted in to the appropriate division if agreed at the Annual General Meeting. Any existing players transferring to a new venue/ team will retain their league status, providing that the new team consists of 3 or more players from the original team and that the original team has been disbanded. This must have the approval of the league committee. This will require discussion at the next Annual General Meeting. Mobile phones should be switched off or turned on to silent mode during matches, unless there is a justified reason not to do so. Such reasons should be agreed by both captains prior to the match commencing. Players and supporters are expected to keep noise to a minimum whilst the match is in progress. Professional players are NOT allowed to play in the league. Ex professional players may be subject to an individual player handicap which would be agreed at the Annual General Meeting, or by the Executive Committee. Trophies awarded at the presentation night must be signed for by the recipient(s), who are therefore responsible for the return of those trophies by the next presentation night in the same condition they received it in. The recipient is liable for any damage to or loss of that trophy and any costs incurred. The teams will have to play off in a neutral venue to decide the winner.The above procedure will also apply to relegation and to runner up positions. If at the end of the season there is more than one person with the same highest break, then each player will receive a trophy. The Executive Committee should consist of a quorum of at least 3 neutral clubs, plus the Chairman and Secretary. A delegate from each club in dispute (Captain or Secretary ) should be in attendance where possible (Sept 14 AGM). In the absence or unavailability of the Chairman then an acting Chairman should be selected from those present (Sept 14 AGM)..
Any dispute of this nature can only be brought to the attention of the League Secretary by the Secretary of the member club (Sept 14 AGM). Voting is by one vote per club with the Chairman having the casting vote if required. When the voting process is to take place then all members not involved in the vote should leave the room (Sept 15 AGM). There is no right of appeal – The Committee’s decision on the matter will be final and cannot be challenged.